The live-in boyfriend of Mariah Wood’s mother has been charged with First-Degree Murder after police revealed the 3-year-old girl’s cause of death on Jan. 24. Along with murder, Adolphus Earl Kimrey II, 32, was also charged with Felony Child Abuse Resulting in Serious Bodily Injury/Death. He was initially charged with concealing a death and obstruction of justice, among other charges last month. An autopsy was conducted on Dec. 4, 2017 and a preliminary cause of death was provided, however, additional chemical and toxicology tests were required. After receiving toxicology test results, the medical examiner determined Mariah’s cause of death to be chloroform toxicity. Mariah was first reported missing from her home in North Carolina on the morning of Nov. 27 last year which an amber alert garnering national attention. She was found dead at Holly Shelter Creek bridge in Pender County where a dive team recovered Mariah’s body on Dec. 2, 2017, police said in a statement. “However, the best way to honor Mariah is to ensure a fair and thorough investigation, which will lead to a successful prosecution. We must remember that through these moments, together, as a community we can ensure that justice will be delivered for Mariah,” Miller added. 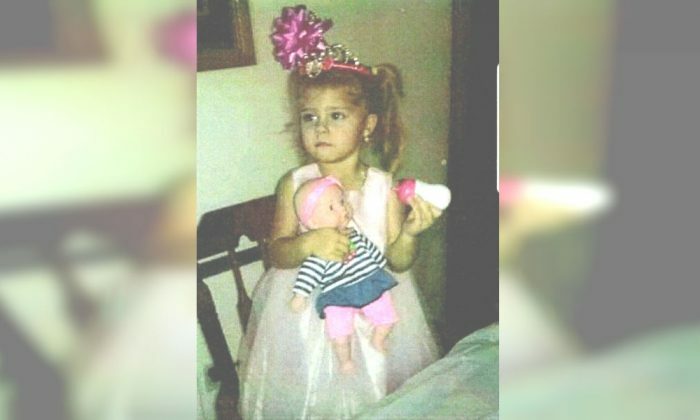 Mariah and her brother were put to bed by her mother, Kristy Woods, at their home in Jacksonville on the evening prior to the toddler’s disappearance, the sheriff’s office said. The following morning the mother was unable to find the 3-year-old girl. Kimrey told police that after Woods was asleep, Mariah had gotten up but was sent back to bed. He further explained that he had left the home for a short period of time and left the door unlocked, police said. Court documents allege that Kimrey had sexually abused Mariah and had been abusive toward her two brothers, aged 5 and 10, as well. Those allegations include Kimrey “hitting both of the juveniles with a belt” and Kimrey allegedly causing one of the boys to suffer a bloody nose, the Jacksonville Daily News reported. Woods has been cooperative with the investigation and continues to cooperate with the detectives as the investigation continues, police said. No charges have been filed against her. Police said the investigations are still ongoing until all leads and information is thoroughly evaluated. Holly Kellum contributed to this report.